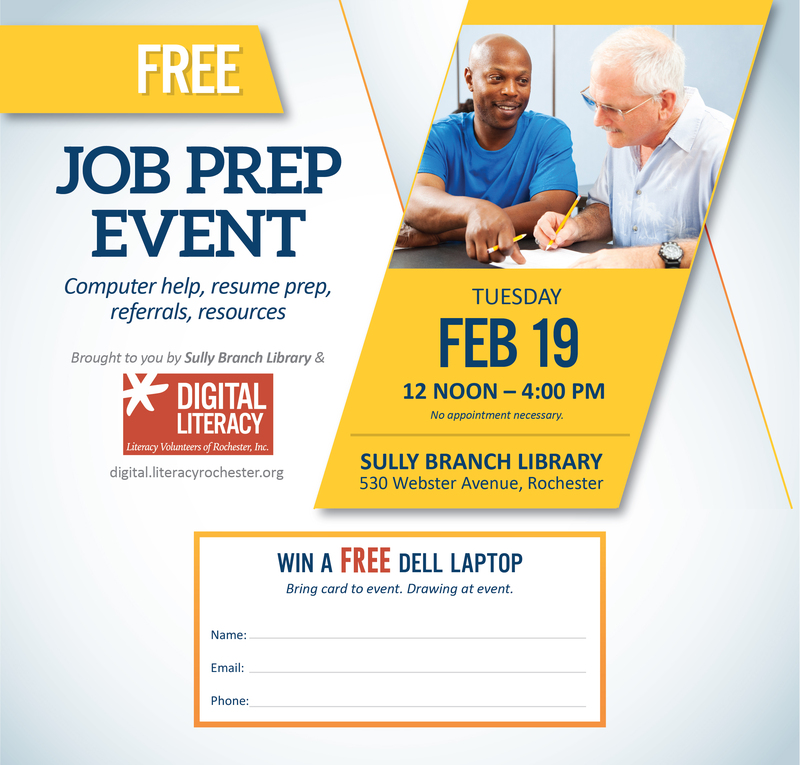 Just in time for the job fair that will be held at the Ryan Campus on 2/20/19, Volunteers from Literacy Rochester will be here to help you with your resume. Learn about the free computer help they provide at Sully, and take a library tour, too. Anyone that attends can enter for a chance to win a FREE Dell laptop.